Trouble Comes in Threes -the 2-disc anthology FREE DOWNLOAD of live, studio, radio performances... and more - covering Mannlicher Carcano's history from 1987 - 2003 has now been re-uploaded to Mediafire, in the wake of the FBI terrorizing Megaupload, shutting off public access to these completely legal digital audio and pdf files. 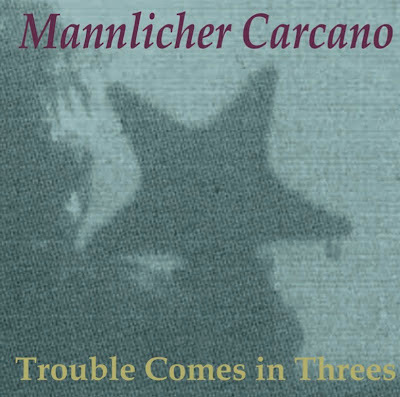 TC3 is a preview of the perennially forthcoming 3-disc anthology 'Mannlicher Carcano: Trouble Comes in Threes' and you'd better believe it baby. Extensive liner notes, copiously illustrated. Includes cover art. Back from the dead and bigger than ever! 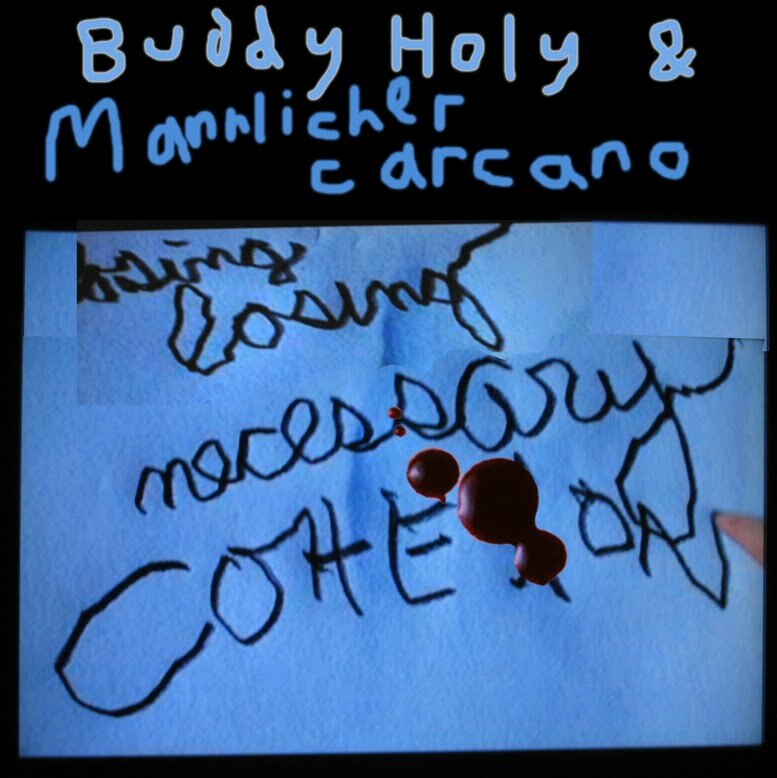 Buddy Holy re-emerges with a perennial favorite, tearing open bloody wounds in his fingers due to the inspiration, which you can hear kicking in around the 6 minute mark! 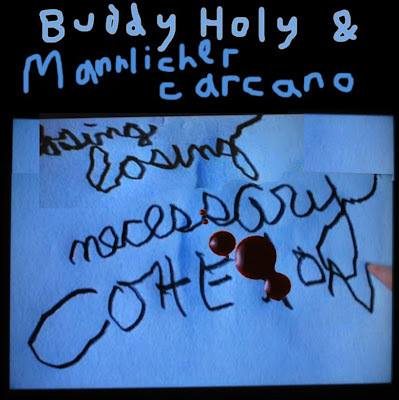 From the forthcoming Infinity Repeated release Buddy Holy & Mannlicher Carcano: Losing Necessary Cohesion! Note: If soundcloud doesn't respond, try clicking a few seconds into the track. Disregard the previous links to the March 13th show (if you download them, you’re in for a disappointment). In the 15 years that The MCRH has been broadcasting, that was the first time ever, that Porter forgot to show up. March 20th however, was back to normal - enjoy! Here also are links to the raucous April 3rd show, get them before it's too late!